A group of nearly one dozen major international banks and financial institutions may have participated in an illegal conspiracy to fix prices in the foreign exchange or foreign currency markets by manipulating numerous benchmark rates and bid/ask spreads, the federal district court in New York City has held. The putative classes of consumers asserting the claims plausibly alleged a global conspiracy and that each of the defendants joined that conspiracy, the court found. 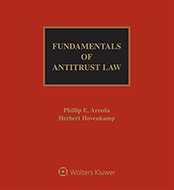 An argument by the defending financial entities that the plaintiffs lacked standing was rejected, but the court did limit the range of the transactions comprising the conspiracy in light of their contention that the Foreign Trade Antitrust Improvements Act (FTAIA) and statute of limitations barred claims based on some of the alleged transactions (In re Foreign Exchange Benchmark Rates Antitrust Litigation, September 20, 2016, Schofield, L.). The majority of the original defendants settled the claims in December 2015. The group of entities currently defending the action includes: The Bank of Tokyo-Mitsubishi UFJ, Ltd., Credit Suisse Group AG, Credit Suisse AG, Credit Suisse Securities (USA) LLC, Deutsche Bank AG, Morgan Stanley, Morgan Stanley & Co., Morgan Stanley & Co. International plc, RBC Capital Markets, LLC, Société Générale, and Standard Chartered Bank. Allegations of conspiracy. The court, noting that it had already found a previous version of the complaint to have sufficiently pleaded a per se illegal price fixing conspiracy based on "direct evidence akin to the recorded phone call in which two competitors agreed to fix prices at a certain level," found that those allegations applied equally to sustain the claims in the third amended complaint of a considerably broader conspiracy. Beyond the alleged conspiracy to manipulate the closing spot rates described in the original complaint, the complaint in force alleged that the defendants conspired throughout the trading day to fix spot prices and other benchmark rates, such as the European Central Bank’s Fixing Rates and those published by the Russian ruble/U.S. dollar CME/Emerging Markets Traders Association and other major banks and associations in Asia. The complaint adequately alleged a Sherman Act, Sec. 1 conspiracy among the defendants in the foreign exchange market "based on, among other things, the sharing of market-sensitive nonpublic information in chat rooms and instant messages, and a series of penalties and fines imposed against a number of defendants by regulators worldwide." 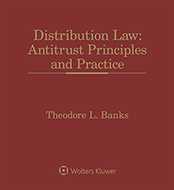 The court rejected an argument by the defendants that they were excluded from any antitrust conspiracy by other defendant banks that had since settled the litigation. Each remaining defendant was alleged as a participant in at least one illegal communication, the court observed, noting that "[q]uestions as to each defendant’s participation in the conspiracy and the conspiracy’s scope may be raised later in litigation, but do not warrant dismissal at this phase." The plaintiffs’ pleadings did not misrepresent chat transcripts discussing spreads or fail to allege any agreement by which any defendant manipulated foreign exchange rates on a centralized exchange, the court added. Standing. The plaintiffs in the case—separate putative classes consisting of persons who had entered into a foreign exchange instrument on an exchange and persons who had entered into one directly over-the-counter with a defendant—sufficiently pleaded antitrust standing, the court determined. 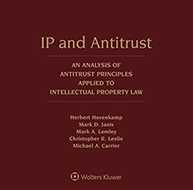 Allegedly paying higher prices because of the defendants’ horizontal price fixing described an antitrust injury, and both classes of plaintiffs were efficient enforcers for antitrust standing purposes. Their damages were not speculative, as any harm from the alleged conspiracy could be shown on a transaction-by-transaction basis. Foreign transactions. The court agreed with the defendants that the FTAIA applied to bar claims based on some of the transactions executed outside of the United States and its territories. Therefore, the court granted the defendants’ motion to dismiss with respect to antitrust claims based on transactions executed on foreign exchanges and transactions between U.S.-domiciled over-the-counter plaintiffs operating outside the United States and a foreign desk of a defendant. The transactions did not fall within the FTAIA’s domestic effects exception, as the plaintiffs failed to plead that any domestic effect of the defendants’ conduct proximately caused their foreign injuries. The contention that there was a single foreign exchange market and that prices in the United States directly impacted foreign prices showed, at best, but-for causation. Statute of limitations. The putative classes’ antitrust claims were timely, the court confirmed. Tolled as a result of the alleged fraudulent concealment of the conspiracy, the statute of limitations did not begin to run until at least June 2013. However, because the complaint in force failed to plead an antitrust conspiracy that pre-dated December 2007, the plaintiffs’ claims based on transactions before that date were dismissed. The case is No. 13 Civ. 7789 (LGS). Attorneys: Christopher M. Burke (Scott Scott, LLP) and Noah Smith-Drelich (Korein Tillery, LLC) for Haverhill Retirement System. Andrew J. Entwistle (Entwistle & Cappucci LLP) for Value Recovery Fund LLC and Augustus International Master Fund, LP. David Harold Braff (Sullivan & Cromwell LLP) for Barclays Bank PLC. Alan M. Wiseman (Covington & Burling, L.L.P.) for Citigroup, Inc., and Citigroup, NA. Andrew Corydon Finch (Paul, Weiss, Rifkind, Wharton & Garrison) for Bank of Tokyo-Mitsubishi UFJ Ltd. David George Januszewski (Cahill Gordon & Reindel LLP) for Credit Suisse AG, Credit Suisse Group AG and Credit Suisse Securities[USA] LLC. Joseph Serino, Jr. (Kirkland & Ellis LLP) for Deutsche Bank AG. Jonathan M. Moses (Wachtell, Lipton, Rosen & Katz) for Morgan Stanley, Morgan Stanley & Co. LLC and Morgan Stanley & Co. International PLC. James P. McLoughlin, Jr. (Moore & Van Allen, PLLC) for RBC Capital Markets, LLC. James Robert Warnot, Jr. (Linklaters, LLP) for Societe Generale SA. Andrew W. Stern (Sidley Austin LLP) for Standard Chartered PLC.